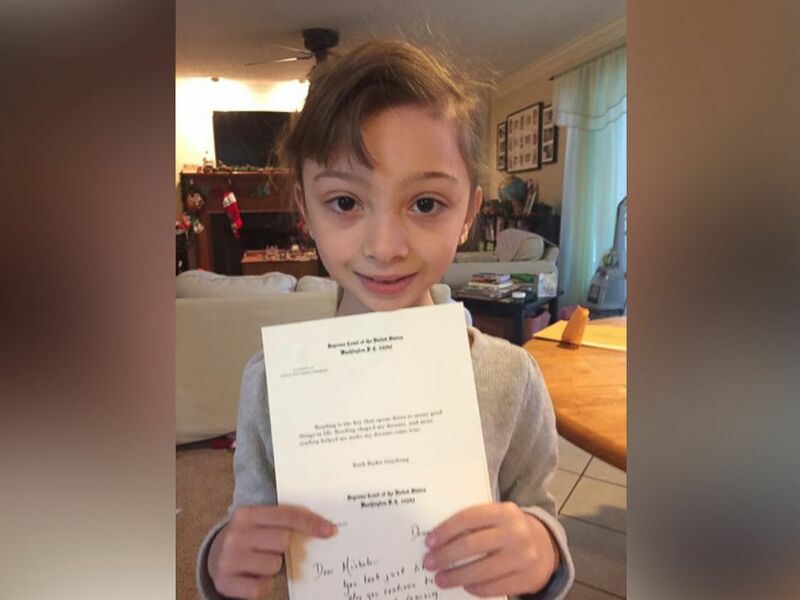 An 8-year-old girl who dressed as Supreme Court Justice Ruth Bader Ginsburg for her school’s superhero day last month received a handwritten note from Ginsburg with a special message. 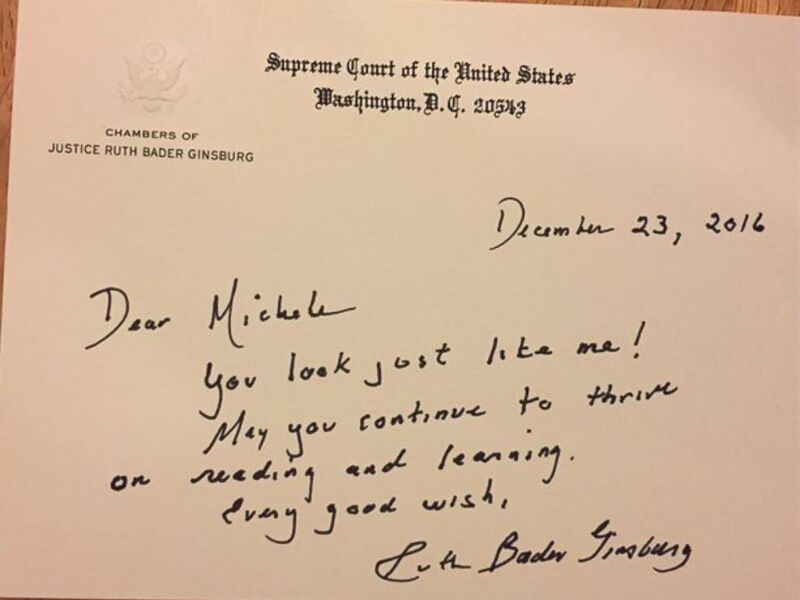 “You look just like me,” Ginsburg, 83, wrote to Michele Threefoot, a third-grader, on Supreme Court stationery. "May you continue to thrive on reading and learning." “Every good wish,” Ginsburg signed the note. Michele Threefoot, 8, received a handwritten letter from Supreme Court Justice Ruth Bader Ginsburg after dressing as Ginsburg for superhero day at her elementary school. Michele, who lives in the Washington, D.C., area, was reading “I Dissent,” a children’s book about the life of Ginsburg last month when she decided to go in costume as Ginsburg for her elementary school’s superhero day. Michele wore large glasses frames like Ginsburg and pulled her hair back in a bun like Ginsburg, who has served on the Supreme Court since 1993. Ginsburg, who has two children, first served as a law clerk beginning in 1959 and went on to play a role in launching the Women’s Rights Project of the American Civil Liberties Union in 1971, according to her Supreme Court biography. Threefoot posted a photo of Michele as Ginsburg on Facebook holding the “I Dissent” book on Dec. 20. The photo, which featured the caption, “Yes, world. Girls who read are dangerous,” quickly drew thousands of shares, likes and comments. The photo also caught the attention of Ginsburg’s staff members, who reached out to Threefoot for the family’s home address. The family received the handwritten note from Ginsburg to Michele last Thursday. “She was really, really, really excited,” said Threefoot, who added that Michele’s teachers asked her to bring the letter to school on Friday and had Michele read it aloud in class. Michele is putting a thank you letter back to Justice Ginsburg in the mail today, according to her mom. The third-grader is now reading a biography of another pioneering woman, artist Frida Kahlo, her mom said.